By partnering with SILK Software and leveraging the capabilities of Epicor Commerce Connect (ECC), Prophet 21 (P21), and Magento 1 Community, Pace successfully launched two eCommerce sites. The Master Vendor Procurement (MVP) website was built for Pace’s client BestBuy. Through the use of a PunchOut solution, BestBuy employees are able to easily punch into the Pace MVP website from BestBuy’s iProcurement system and bring the shopping cart back to the iProcurement system once shopping is complete. 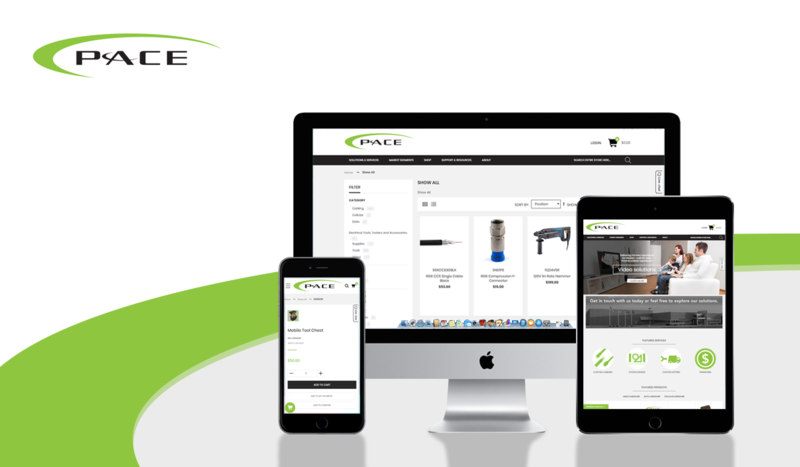 With a newly designed and launched corporate B2B website, Pace International also has a fully optimized eCommerce site to provide their clients with the best corresponding resources detailing the equipment, solutions, and services they provide.